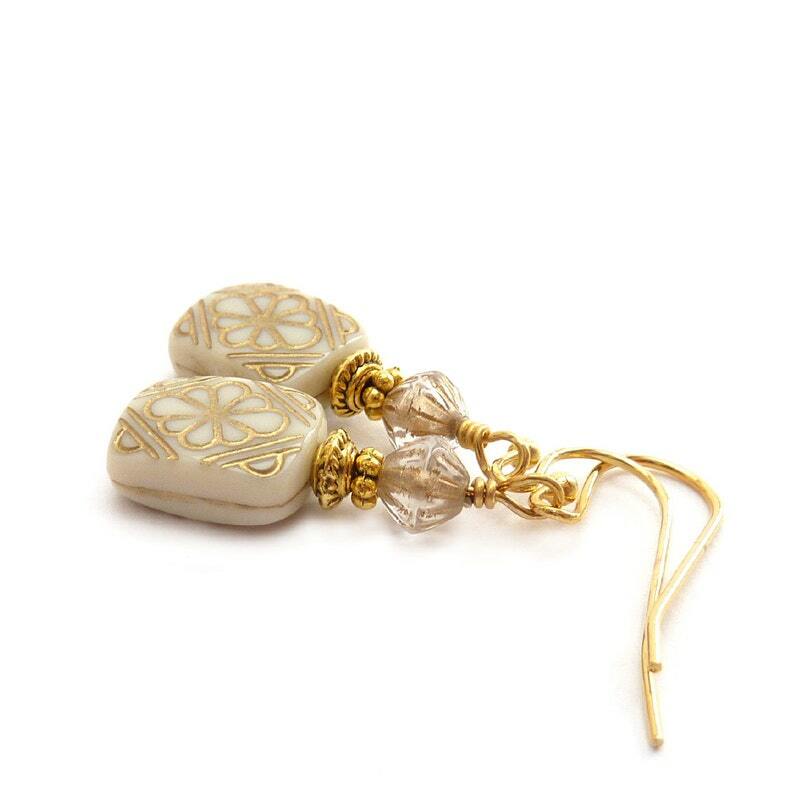 Wonderful vintage style acrylic beads in ivory creme with ornate gold etching throughout. These are exact reproductions of vintage European beads that are so hard to find now. Simple elegance. These earrings are very petite and sweet. A great choice for the bridal party. Your jewelry will arrive in a gift box. Free shipping to the US. Please feel free to contact me with any questions on bridal orders.